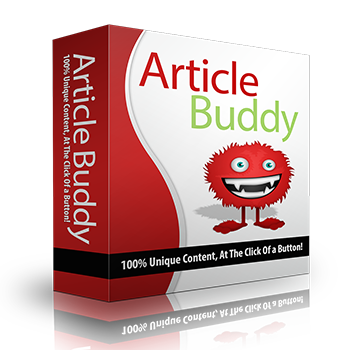 Spun By Google Article Spinner is an article spinner software tool that uses Google translate to spin your content so you know the result is grammatically correct well formed content in the eyes of Google. This free content spinning tool simply throws your content in and out of Google translate. There are different options for how many times you want it spun and how hard you want it spun. The content it generates is perfect for lower tires in tired link building campaigns and even expired web 2.0s. NOTE: Please do not use spun content on your main/money website it is against Google webmaster terms and can result in your website being deindexed. And does the same job as those highly priced spinners. Are you sick and tired of writing articles for your website? Do you want to earn some extra cash blogging or writing for your clients? Thousands of freelancers are doing this using our ‘Tips Approach solution’, and trust us, its so easy that even a child with basic knowledge of English can do it. Introducing Instant Article Suite pro, the ultimate software which is, believe it or not, a three in one solution for all your headaches in creating unique search engine friendly articles. Why pay for your articles when you can get it done for FREE? Automatic Proofreader - grammar checker software. Spun Content? No problem!... AUTOMATIC PROOFREADER SOFTWARE allows you to find those pesky mistakes and correct them on your WORDPRESS blogs or in the text files on your computer. Finally You Can Fully Equip yourself with this powerful “Must Have” Tools for perfecting All the grammatical errors, spelling mistakes, omissions before your next writing project! AUTOMATIC PROOFREADER SOFTWARE allows you to find those pesky mistakes and correct them on your WORD PRESS blogs or in the text files on your computer. How about a software that does the research for you and also writes impeccable content at the push of a button? AI Article Rewriter isn't an average article spinner. It's going to take premium quality content from the web and turn it 100% Copyscape Proof unique content by spinning Unicodes (language that broiwsers use to read content).The result is 100% unique content to the browsers and search engines without any visible changes to the human eye. The content will read like it's been hand written by a premium writer!! You can now have hundreds of pages of premium content in a matter of minutes!! Thousands of dollars and dog hours saved! Laugh at Google's Duplicate Content Ban when you discover. "How to Generate an Avalanche if Hot Prospects and Leads Using the Art and Science of Creating Thousands of Unique Articles in Minutes!.Like Magic!"